Shopping for photographers is hard. In fact, shopping in general is hard. We’d like to help everyone involved out a little bit, whether you’re shopping for a photographer or taking a break from the stress of holiday shopping to #treatyoself. In this price range you’ll find more than just stocking stuffers. There’s an integrated zippered lens pocket, a lens cleaning cloth in a hidden pocket, an integrated sleep mask for those long flights, and thumbholes for warmth during those chilly on-location mornings. The whole thing even has built-in snaps to fold into a pillow. 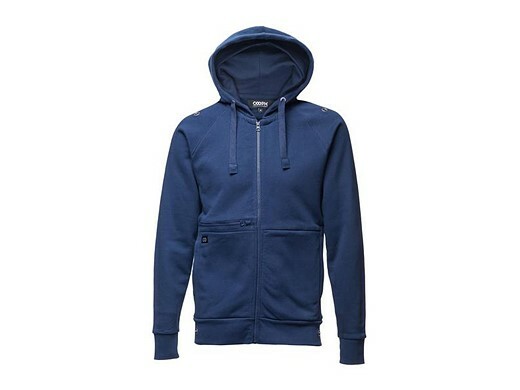 We’re not sure that it’s going to make anyone a better photographer, but it might make them warmer and more stylish. Airplane travel isn’t much fun for most people these days, and it is especially un-fun for photographers. Checking luggage? The TSA (and who knows else) almost certainly go through it. So most of us prefer to keep gear in our carry-on luggage. But with carry-on size and weight requirements becoming more and more strict, photographers need a pretty specifically sized bag that is as light as possible in order to get everything on board. 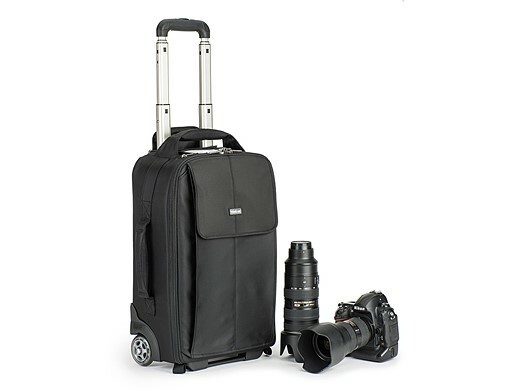 Think Tank’s Airport Advantage rolling camera bag was designed with exactly this in mind. At 12.7 x 19.5 x 7.3 in (32.3 x 49.5 x 18.5 cm) it is designed to meet both US and international carry-on size requirements, and its light 5.9 lb (2.7 kg) weight allows you to pack gear in while staying under weight limits. Depending on layout, the Airport Advantage fits up to 2 gripped DSLRs with 3-4 lenses, and offers a dedicated sleeve for laptops up to 15 in. Does the photographer in your life need to slow down a little? Do they ramble on too often about megapixels, high ISO noise and autofocus points? Could they stand to be entranced by the magic of a slowly appearing instant photo? Then you need to get them the Lomography Lomo’Instant Automat. 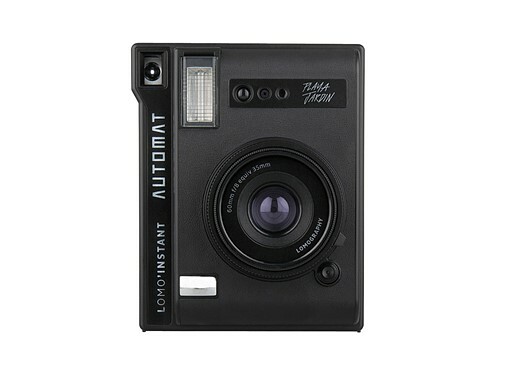 Using Fuji Instax Mini film, the Lomo’Instant Automat aims to be the most advanced automatic instant camera ever. That said, there are only two exposure modes, automatic and bulb, and two flash modes, on and off. The Ricoh Theta SC doesn’t quite offer everything its Theta S predecessor does. But it comes with a cheaper price tag and all of the essential features, and it’s a great way to try out 360-degree capture without much of a commitment. 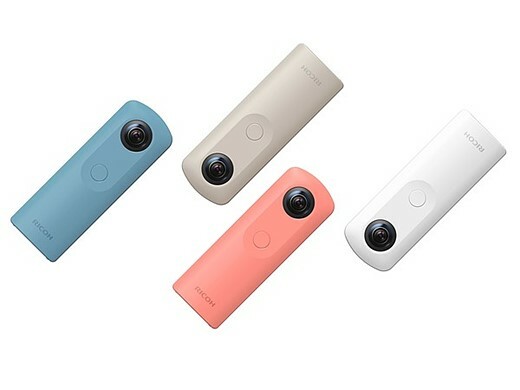 The Theta SC uses twin spherical lenses with 14MP sensors to capture 360 degree images and video that can be viewed on devices like the Samsung Gear VR, or shared to social media from Ricoh’s Theta S app. If you’ve done any photography equipment research as part of your holiday shopping, you could be forgiven for thinking that the world revolves around DSLRs, mirrorless cameras and a few select compacts. Where are the high-quality-yet-pocketable, large-sensor fixed-lens cameras? 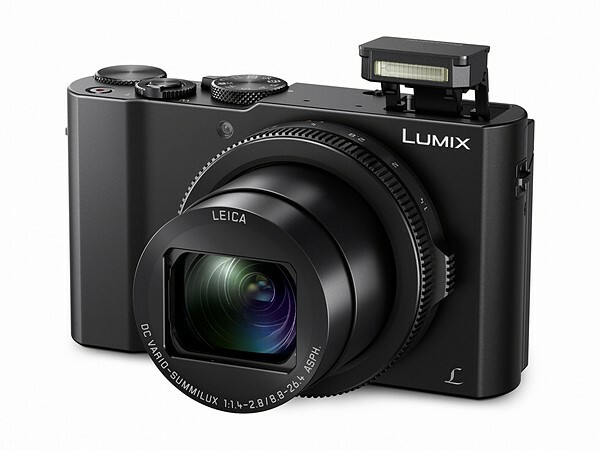 Panasonic’s reply is the newly released Lumix DMC-LX10 (also known as the LX15 in some markets). With a 1”-type 20.1 MP sensor, a Leica 3x DC Vario-Summilux 8.8-26.4mm (24-72mm equiv.) F1.4-2.8 lens and a shirt-pocket size, the LX10 continues Panasonic’s long history of high-end compact cameras. A 180-degree upward tilting touchscreen, 4K video capability and five-axis image stabilization round out the feature set. Packed in a suitcase for a trip around the world or a purse for a trip to the beach, the LX10 should be an excellent companion. Every photographer needs a sleek, functional shoulder bag that isn’t too bulky and doesn’t scream ‘steal me.’ It’s a market segment that has seen many options over the years. 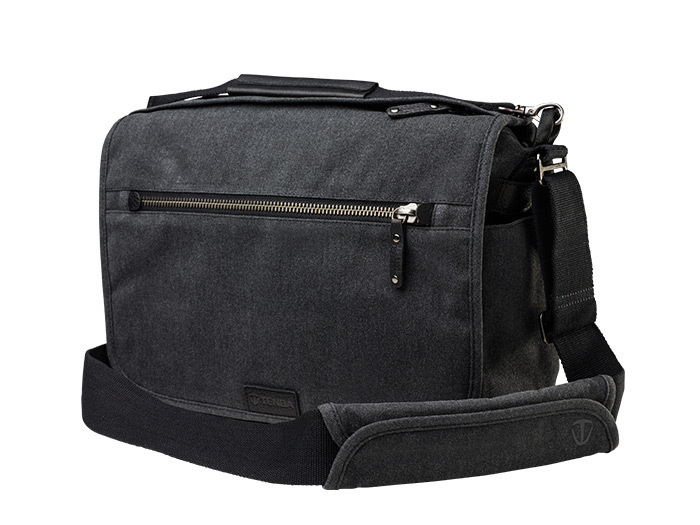 But for the 2016 holiday season, it would be foolish to not take a look at the Tenba Cooper 13 DSLR-sized messenger. Designed to hold a DSLR with 2-3 lenses, the Cooper 13 DSLR’s peach-wax cotton canvas exterior and full grain leather trim checks boxes in the style department. 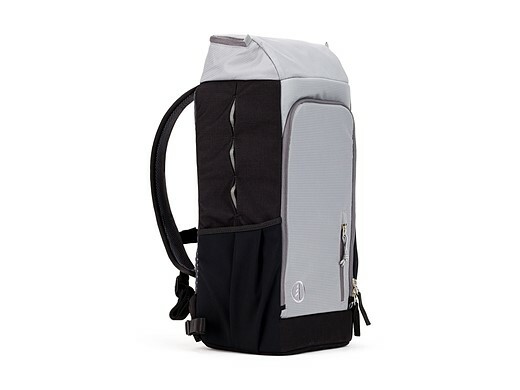 The quick access top zipper, expanding external side pockets, 13″ laptop sleeve and silent opening velcro will probably be the features that photographers are most impressed with in use. The Cooper bags are personal favorites at DPR and we highly recommend them. Are you constantly made to watch shaky, nausea-inducing video footage taken by a budding videographer using a smartphone? Let’s face it, smartphones are ergonomic disasters as far as videos are concerned and any shift in grip or slight jostle causes the footage to jump like there was an earthquake. Enter the DJI Osmo Mobile, a 3-axis gimbal that steadies out even the shakiest footage. Designed to hold phones from the compact iPhone SE to large phablets such as the Google Pixel XL, the Osmo Mobile is simple enough that even children figure out how to use it in minutes. 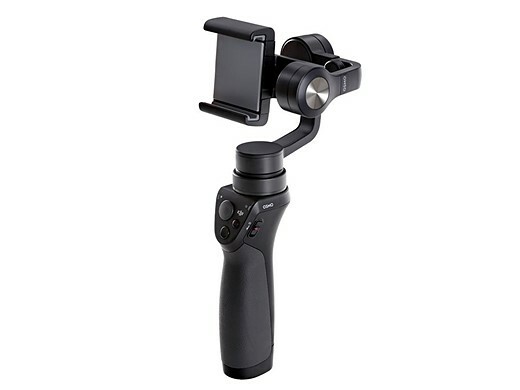 For those who want more control, DJI’s Go app allows changes to shutter speed, ISO and white balance from the phone and the Osmo Mobile’s handle offers physical controls for controlling shooting modes and operation. Throw in a three hour battery life and that’s a lot of steady footage. No digital photographer is ever going to turn down more storage space. What if that storage space also happened to be battery powered, 802.11ac (5 ghz) Wi-Fi enabled and also include an SD 3.0 card reader? I suspect most photographers would flip at the chance to get their hands on that device. 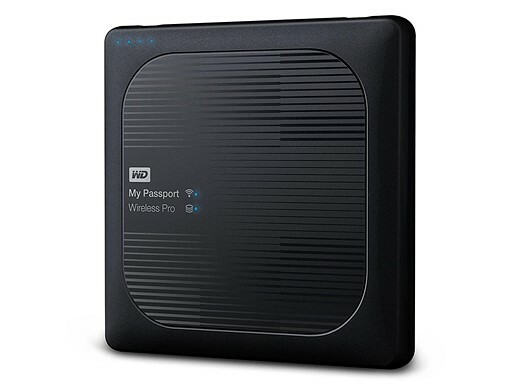 The WD 2TB My Passport Wireless Pro portable external hard drive is meant to be a compact on-the-go wireless NAS (network attached storage) device for downloading full memory cards in the field and accessing them via wi-fi or USB 3.0 when back at your computer. Its 6400 mAh battery gives up to 10 hours of power (depending on use) and can even be used to charge USB connected devices such as smartphones and action cameras. Who wants to carry 5 lb (2.2 kg) of backpack when they’re already carrying 20 lb (9 kg) of gear? Nobody, that’s who. So if you know a photographer who carries a lot of gear on their back, give them the lightweight Tamrac Nagano 12L backpack this year. At a featherweight 2.2 lb (1.0 kg) the Nagano weighs a fraction of similar packs and still holds a DSLR 3-4 lenses and accessories. There’s room for an 11 in tablet or computer or a hydration bladder if liquid is more important than computing. Dual, stretch pockets accommodate a water bottle on one side, and a compact tripod on the other. 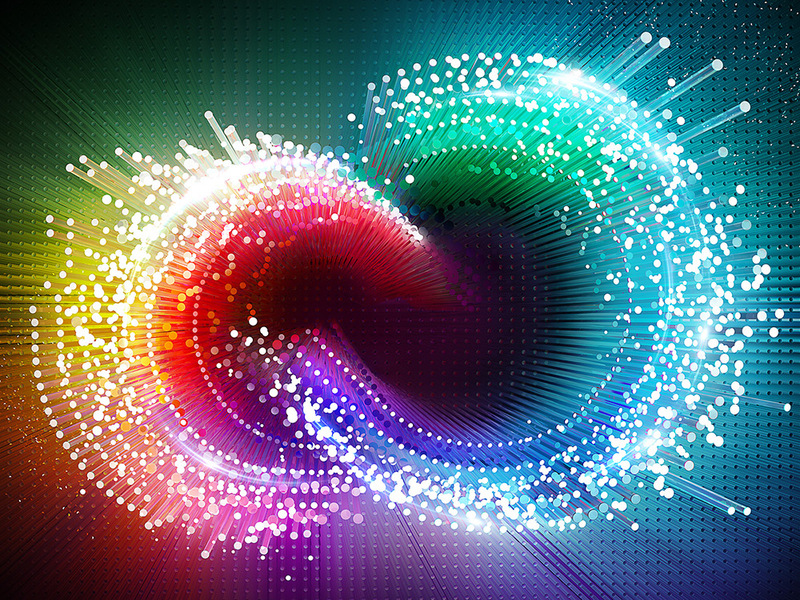 There’s no denying that Adobe Photoshop and Lightroom are the photo editing gold standard. The reason they haven’t been replaced by something new is because they remain the best option for most photographers. Yes, great photos can be made, edited and shared without Photoshop or Lightroom. But if the photographer on your list doesn’t have these two programs, you probably can’t go wrong giving them the gift of 12 months of access to Adobe Photoshop CC and Lightroom CC. They will be able to install the programs on up to two computers and multiple mobile devices. They, and their photos, will thank you.